Pathways-ED: Get out the compass, we know where we are going! Is peace is breaking out in education? The Minister of Education has announced the formation of a “Minister’s Forum” that will address the key goal confirmed last Monday in the Better Public Services goals: that by 2017, 85% of all 18 year olds in New Zealand will have NCEA Level 2 or its equivalent. The Forum contains possibly the widest representation of education ever put together in one room. All major groups associated with pre-school, primary and secondary schools are there. So too are various governance groups such as trustees. There are some tertiary people also. Chaired by the Minister, this group might be the best chance yet to effect the step change that will take achievement for all students up to levels that are competitive internationally and which will see increased contribution into the wealth of New Zealand. The goal is that all 18 year olds will get there, not just a cosy percentage but a challenging one, And not only the Asian and European students but also Maori, Pasifika and other priority groups – it is 85% of each of these groups. No longer can our disparate performance be hidden in global percentages. This is all good news. Yes the timeframe seems tight but the goal is beyond dispute. It represents something of true north for us to stroke some direction into the system. And what a great time of the year to set our eyes on a new star. I say our eyes because a step change of this kind requires effort from everybody. The foundations of education are constructed in family and early childhood education, well quality early childhood education. (A further Better Public Service goal calls for 98% participation in quality ECE). This then must lead to a primary schooling that focuses clearly and effectively on the foundational skills of education. We can no longer afford the luxury of having young people present themselves to the secondary school after 8 years of primary education still carrying weaknesses in basic skill areas, especially literacy and numeracy. In an education system that is keen to boast that we are a “world class system” it makes no sense that students can slip through untouched by the teaching of these skills. Then the secondary school takes over and faces several issues – keeping students in education and keeping them moving forward. Actually keeping students in education is also becoming a concern for senior primary levels. Progressions from secondary on to further education and training are also a challenge. Why are the transitions such an issue in our system? closer co-operation between schools and tertiary providers both in the interests of increasing pathway options but also to re-introduce the rich opportunities for technical, career, and vocational education that once available to young people. It seems to me that the 85% challenge will require us to bring new success into the educational lives of about 10,000 students, But the bigger challenge is that if the 85% target is to apply equitably to groups of priority learners, over 3,500 of this group must be Maori and over 1,000 Pasifika. People from overseas, when I talk about such matters, are amused not by the gravity of the challenge but rather by its scale. With numbers such as those above, surely, they argue, you can get in there and “knock it off”. They come from systems in which the same issues have almost reach a scale of despairing numbers. In the US, a student drops out of High School every 9 minutes and 1.4 million a year are excluded. World class? Of course we can be. Not just in measures of overall achievement (that after all is simply a league table!) but in our capacity to show that we recognise inequality of outcome and were prepared to do something about. To not achieve or get close to this target would be shameful. EDTalkNZ welcomes the Better Public Service Goals for education announced by the government yesterday. The goal of 85% of students achieving NCEA Level 2 or its equivalent is an entirely reasonable goal even if the time for getting there by 2016, is a very tight and demanding one. To reach this goal we will have to bring success to an additional 10,000 students who currently either do not reach this goal or who disengage from education too early. The big task is that over 50% of those 10,000 students will be Maori and Pasifika if reaching the goal is to be done in an equitable manner. increasing the capacity of Youth Guarantee Programmes including trades academies, secondary / tertiary interface programmes and increased numbers of Youth Guarantee Free Fees places which allow students who wish to build on their progress in school through being able to enter a vocational qualification programme without having to stay in school for all of the three years of NCEA. But above all, we can reach this goal if we put our minds to it and this will require two big efforts. We will have to work together across traditional boundaries with a focus on the student rather than the sector and the institution. We will have to reflect the diversity of students by admitting to a variety of approaches that will allow them to meet the goal. So it’s up to us rather than them. It’s a disconcerting thing, reading the newspapers these days. Often during the week it is a quick scan of the morning paper, a quick go at the crossword and then off to work. The morning paper is given its serious attention in the evening. At the weekend I look for instantaneous relaxation a more leisurely stroll though the papers. Well, on Saturday I open the paper to be confronted by a large advertisement from the Auckland Primary Principals Association advising the public at large and readers in particular that they were against league tables in education! Some reasons were given and readers were exhorted to email the Prime Minister, the Minister of Education and their local MP all of whom would obviously be astounded by this spontaneous outburst of opinion from the community. Most people in the community simply add this to the list that they have of the things that teachers and Principals do not believe in: national standards, performance pay, league tables and this is just the recent list. Oh yes, the teaching profession makes it very clear to the community of what it is they do not believe in. But I wonder if members of the wider community have any idea of what educators in this country actually do believe in? And do they understand the arguments behind those things. All they have to go on are the results that stare them in the face and they don’t need the media to tell them about these in specifically schooling terms, they know that as a result of the failure of education to win the hearts and minds of young people, they see unprecedented juvenile crime, they see escalating youth suicide rates, they see escalating issues of mental health among younger and younger people. They know with some precision how well we are doing in education and while half of the community celebrates success, the other half despairs at what seems to be gloomy futures for their young ones. I was put off my stride to relaxation when I came across an article that cast doubt (perhaps even aspersions) on the B4 Schooling screening test in the Sunday paper. The Ministry of Health describes the B4 School Check as a valuable check on development and the picture of the child’s development is gained through some simple health checks and a conversation between the health professional, the ECE teacher and the parents/caregivers. All this sounds all very well, sensible and useful. But the article goes much further and gets into the speculation that the check was more sinister in its potential to get into areas of mental health and start diagnosing mental health issues in the young. This is much more problematic than simply identifying issues of hearing and sight, and nutrition and general physical development as the old Plunket checks once tried to do. More interesting was the introduction of what seem to me to be unexceptional child behaviours as symptoms of mental health issues – shyness, sleeping with the light on, clinging on to parents’ legs, being nervous in new situations. If these are symptoms then we have all been in that space! And this raises the issue of over-diagnosis. There is a view that this is happening. It was staggering to be told in the article that “Pharmac figures show a 140% increase in anti-depressant prescriptions for 0 – 4 year olds” within the space of one year and an increase in “mood-stabilising drug prescriptions for children aged five and over”. Can this be true? And if it is, is it the 4 year olds who need examining or should the older generations be taking a good long look at themselves. To some extent there is as much danger in glamorising or normalising issues such as depression as there is in ignoring it. But the free and easy manner with which we see diagnoses of serious issues such as dyslexia, autism, ADHD and so on bandied about helps no-one. Young people grow up in many different ways and the strength they have to develop into “normal” youth is one of the miracles of life. And it might be a good thing if young people grew up a little more along the lines that we grew up. We did not expect to be happy all the time and were loved when we were not. We had no idea whether or not we were normal or not and perhaps at my age still do not know! I grew up being afraid of violence and fighting to the extent that I would hide behind the seats in the movie theatre while the cowboys were fighting (to be hauled up when it stopped by my brother who knew no such fear). I was nervous about being left alone. No-one offered me a pill! Is it normal to get tense in an airport? Or to worry about an unfamiliar sound outside at night? I do, but no-one thinks I need a pill? These are real issues. It would be a good thing if people knew what teachers do believe in and had faith that this would make the world a better place, especially for their young ones. The Prime Minister thinks it a good idea that parents have more information about the schools their sons and daughters go to. Who could argue against this? It seems reasonable, in fact it is almost a right I might have thought. But the trouble is that while each of us individually is beyond reproach in the use of information, we don’t trust the other bloke. Of course they are going to misuse it. Of course they are going to use it for purposes that are not proper. Worse, the other bloke is going to construct a league table! What added to the fire on this occasion was that the comments from the PM came on top of some discussion with decile rates – the ultimate league table if ever I saw one. Decile ratings drive the quest for houses in Auckland and parents ascribe the power of holy writ to them. There is no room for a reasoned discussion – high decile rating good, low decile rating bad. And this is whipped up even more by the exhortations of the real estate industry. So who is kidding who in the discussion about decile ratings and information about school performance? Decile ratings were devised to help schools – we would come up with a formula that assessed the factors that impact on the degree of difficulty in teaching and learning and which depress the differences made explicit by talk that compares rich and poor, black and white, leafy suburb and suburb under the power pylons, and so on. I remember thinking at the time that this was real progress. At last a measure that reflected the accumulative nature of disadvantage.I also recall the promises that such a formula would allow funding to be allocated fairer. But it didn’t take long before I started to have doubts. The school of which I was Principal at the time was denied access to a programme and membership of what became the AimHi Group, because “it was Decile 2”! My best efforts to show that in fact the school roll of about 1,300 could be clearly divided into a Decile 1 school that was as large as several of the smaller schools in the programme and a Decile 4 school. The Fallacy of the Decile was exposed. At the very top of the decile scale, a school is as homogenous as its decile rating would suggest. At the bottom it is as evenly disadvantaged as the rating is meant to show. But in between is something of a dog’s breakfast. The rating is simply the blended assumption of what the school would be like if everyone who went to it was the same. Those schools in the middle have a huge range of students in them that is not captured in the “think of a number between 1 and 10 game. But let’s put the issue of the decile rating to one side and get back to the issue of information. Of course information about the schools should be available and it should be on some basis that looks objective. Wait, is that possible? The Government has faith in the National Standards – the teacher organisations do not. The truth will as always be somewhere in the middle. the information will be as good and as accurate as the school makes it so it is in their interest to do a good job that is fair to the students and reflects the good work being done in the school. In Australia the government set up the website www.myschool.edu.au for members of the public to get a snapshot of the schools. I took a look at it and found it to be helpful. It seems fair and I certainly got a good feel for the school that the grandchildren go to. I wouldn’t say that it represented a threat to anyone. For the fact is that middle class parents will continue to compare schools in making choices about where their little ones will go. The genie is out of the bottle on that one. And generally the schools that do well out of it love it. Let’s be honest about it. They are flattered that so many scramble to get through the gates and they dine out on it at the drop of the hat. It is not what others will do with information about schools that should worry us. It is what we do to ourselves and each other. And there could be protections in law about using information to construct league tables – I think that New South Wales has such restrictions. But it is the league tables in the minds and hearts that does the damage. Meanwhile, if the information is there and tells us that some schools are struggling and in some cases might be able to be expected to do better, why aren’t we using it to address the issues? Pathways-ED: Reform for the future or retract for the past? In other words, the role of local government is, according to those who promote this change is rats, rates, roads and rubbish. Well put simply, they are reflecting government policy, supporting it and stating that their region will also commit to those goals. In fact the early drafts of The Auckland Plan, by including the NCEA Level 2 target was actually running ahead of the Government target subsequently established in the Better Public Service Targets of having 85% leave school with NCEA Level 2 (or its equivalent) by 2016. Perhaps the development of good public policy is a shared responsibility rather than being a process driven by officials and party politicians who are often remote from the realities of the towns in which people live in? The Manukau City Council, back in the 1990s, set about to provide a set of policies that would enable the Council to advocate for its citizens. The resulting Economic Development Policy, Employment Policy and Education Policy documents all led to material improvements in the well-being of those living in the south of Auckland. And this at a time when the input of central government was having little effect. In education, the Education Policy led to establishment of the City of Manukau Education Trust (COMET) which contributed a range of significant developments – Youth Transition Services, Youth mentoring, Family Literacy for example – and became a major partner of the Manukau City Council in advocating for improved access to early childhood education and suchlike. At the end of this month and in response to the new local government arrangement in Auckland, COMET will become the Community Education Trust Auckland and extend its activities over a wider region. The education goals in The Auckland Plan are improved access to early childhood education, NCEA Level 2 and a postsecondary qualification. These are entirely synchronous with Government Policy. Why then have such goals? Because by committing to them the Auckland Council can then report on the success of the central education system in achieving them in Auckland. Advocacy on behalf of its citizens is surely the key goal of local government. Is it the scenario of the central government being answerable to local government for outcomes that startles the ponies in Wellington? And local government is ideally placed to promote integration and co-ordination of education within its areas. 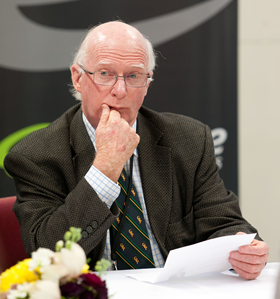 The Auckland Council has established the Auckland Tertiary Education Cluster – an organisation that can bring together the tertiary education institutions of Auckland in a way that goes beyond the reach of the Tertiary Education Commission and the Ministry of Education in effecting collaboration and co-ordination. Having institutions seek ways of working together is surely in the interests of central government, indeed it might even be its policy! There are other examples of effective activity by local government – Otorohanga and the work of the Council with local youths on successful transitions from education into training and into employment springs to mind. How can that not be government policy? There are other examples. Perhaps local government throughout New Zealand should be making their local members more aware of what they are doing. It is not that local government through a commitment to education and social outcomes is setting out to do the work of central government. Rather it is more a case that local government has a role on behalf of its citizens in seeing that central government does its work! Advocacy for the needs of an area, the welfare of its citizens and the general health of communities is both local and a central matter. Education is greatly enhanced by the activity of local government in working alongside the centres, schools and institutions of their respective areas. It is not a good time to be arguing that central government alone and on its own can do the job. The Local Government and Environment Select Committee has not called for submissions on this Bill. Focus. From time to time we need to stop and have a serious rethink about direction and emphases. We need to withdraw regularly and renew the focus, not keep on doing the same old thing, working out what we want the education system to do, expressing it simply then doing it requires such focus. Simplify. Get the focus right and we find that what we need to do is simpler than we thought. I have long argued that education is not the complex process we make it out to be. What we want is simple and achieving it could also be simple. Take responsibility end to end. This is one that education might use to plan its attack on educational failure. Just as Jobs sought seamless integration in the devices he developed, so too should we be seeking seamless integration in education. With the current disintegrated system no-one can be responsible for educational failure because there is no oversight “end-to-end” of a learner’s journey. When behind, leapfrog. Thinking of the step to take after the next one and then going straight to it gave Jobs an advantage in business. Perhaps in education we need to think of the next big step and then the one after it and go straight there. Perhaps tinkering inside the existing sectors is not as profitable as thinking about what comes after the current sectors. Put products before profits. Seemingly this belongs better in a business world than in education. But, as a colleague reminded me recently, if we were to see that the products are our students (and the community is our customer) this becomes somewhat applicable. Bend reality. Steve Jobs was described by a fellow employee as having a Reality Distortion Field (so-called because of an episode in Star Trek where aliens could through mental effort change the thinking of others). Having a capacity to think clearly (and forcefully) about what might be takes “impossible” out of the lexicon. We generally say “that’s impossible” or “that can’t be done” when really we mean “I am having trouble thinking that through.” Leadership in education needs to “bend reality” at this time more than ever before. Impute. The messages we give to the wider world about education have a profound impact on how they see our world. Jobs ran plenty of honest, hard-hitting sessions behind closed doors but his communications to the world imputed all the right things about what Apple did and what Apple produced. Push for perfection. What is perfection in education? Simple. Each and every student succeeds. Tolerate only “A” players. This seems obvious. But to achieve this we need to have greatly increased focus on professional development throughout a career in education, tight and high entry standards, a focus on achieving equity in teaching standards across and between schools and a clear notion of what constitutes an “A” player when it comes to teaching and educational leadership. Engage face to face. Education is good at this generally. Communities can engage face to face to their school. Education leaders have skills of such engagement. The quality of this engagement is genuinely two-way. That’s the goal. Know both the big picture and the details. The best leaders know both the big picture of education and the details of getting it right at the level of that individual student. It could be that we are better at the second than the first – we know the skills of the trade but are less clear about the business, strategy and performance, the bottom line. Combine the humanities with the Sciences. But overall the Americans maintain the ideal of a general education more successfully than we do – it’s just that so many students in the US fail. Successful educations systems have sorted out what a general education means and as a result have programmes that are broader yet more focussed. Stay Hungry, stay foolish This is the key. Those Apple advertisements in the 1980s and the exhortation to “Think Different” introduced us to the concept. Since walking into the Apple HQ in Cupertino CA in 2000, and seeing the Apple Creed splashed large across the entrance wall I have found it to inspire and encourage. Here’s to the crazy ones. The misfits. The rebels. The troublemakers. The round pegs in the square holes. The ones who see the world differently. They are not fond of rules. And they have no respect for the status quo. You can quote them, disagree with them, glorify or vilify them. About the only thing you can’t do is ignore them. Because they change things. They push the human race forward. And while some may see them as the crazy ones, we see genius. Because the people who are crazy enough to think they can change the world are the ones who do. Pathways-ED: Blood and fire or beating the retreat? Now that the “alliance of education sector groups” formed to fight “government cut-backs in school staffing” appears to be out of a job, I suggest that they stay together and tackle some of the other big issues. This “unprecedented meeting of six school unions” as it was described would bring together a strength usually only seen in New Zealand when such “coalitions of convenience” are formed – and that is not very often. Given that the issues of the number of teachers in our schools can galvanise all these groups to cooperate and to seek a common goal, it is exciting that that these key education groups are finally sitting around the table when there are even greater issues to be tackled and perhaps this togetherness is the start of something good. The factionalising of education at the school level has been in no-one’s interests for a long time. Here are some suggestions for concerns that such a group might focus on. Why in an education system that has teachers capable of producing students educated as well as any in the world, do the statistics of education failure continue to resist improvement? Why in an occupation which is dedicated to learning do we have so few opportunities for teachers to refresh and expand their own learning? Especially in light of the agreement that central to improving learning is the quality of the work of each and every teacher. Why do we continue to have such clear demarcations between early childhood education and primary, primary and secondary, secondary and tertiary? Do sectors any longer serve young peoples’ learning? Should early childhood education be merged with the primary sector? Should a middle sector be created (Years 7-10)? Should the senior secondary school be merged into the tertiary sector? Why in a state education system should schools operate with disparate levels of funding as government funding is distorted by community contributions, fees and donations? Is too much funding locked into inflexible provision of staffing? What are the true costs of a sound educational provision? Do we really have a national strategy for the use of learning technologies in schools? Will the use of devices in schools be left to the whims of parental wealth and availability of funding? Will schools be in a position to respond to the roll-out of high-speed broadband? Is it timely to initiate a review of the curriculum in order to clarify gaols and objectives at key transition points, to remove from the curriculum the clutter that has developed and to give priority to key skill areas that are necessary to see all students succeed? Is it time we got serious about teaching community languages? Why do transition points cause disruption for many students? Are transitions in the right place? Why is it so difficult for us to manage students as they move across transition points? Have we taken our eye off the ball? Is there a developed diminishing focus on skills required for employment or a disconnect between schooling and employment? What is the role of schooling in creating job ready young people? At what ages should the vocational purpose of education and training become explicit. Why do we have skill shortages and yet so many young people doing nothing with their lives? Do we have the right number of schools and in the right places? Has the location of schools changed in response to the demise of the horse and unsealed roads in rural areas and changed urban behaviours? There is agreement that disengagement from education is becoming (has become?) a systemic feature of education in this country. Teachers and school leaders tell me that they see it unfolding over many years in the schools. Do we understand this phenomenon? Do we know what interventions might work and when to apply them? Any or all of these topics would benefit from a response as intense as that given to the teacher / student ratio issue. Each of these issues can only be addressed by a non-partisan and system-wide response. Each of these issues will continue to dampen educational success among our young people until they are addressed. Actually, put together they might well make a good agenda for a Royal Commission on Education. Just imagine if we agreed to this in this the Diamond Jubilee Year – it could be referred to in years to come as the Diamond Jubilee Royal Commission on Education – that has a ring to it. Or will each group return beat a retreat back to their camps to continue the battles another day and in their own way? One skirmish might be over but the war continues against ignorance, a future of doing nothing, educational failure and poverty. Considering that New Zealand is a constitutional monarchy and that the events of this week are of some historical significance with regard to the monarchy, I wonder what schools are doing with regard to the celebration of the Diamond Jubilee? My mind goes back to the ascension of Queen Elizabeth II to the throne 60 years ago. I was in Year 2 at that time and activity was ceaseless. We drew crowns, got given fold-out things about the State Coach (vehicle not football), actually was presented with a medal that commemorated the event, was taken by bus to the picture theatre to see a film of the coronation mere days after the event – it was a big event in schools. But those were very different times. Paul Holmes refers to our generation as having been brought up in the shadow of the Second World War and I know what he means. It was a much more jingoistic time and although “we” had won the war the cost was high in both human terms and financial terms. They were also rather simplistic times and I have long thought that this was due to the myriad slogans that were part of the war-time discourse and which stayed around for quite some time. “Freedom is in Peril”, “Your Courage, Your Cheerfulness, Your Resolution Will Bring Us Victory”, “Keep Calm and Carry On”, “Careless Talk Costs Lives”, “Dig For Victory” were all known and acted as shorthand for some aspect or other of behaviour during war-time. Even some that seemed not to be about war had their origins during that time – “Coughs and Sneezes spread diseases” for instance. And the “Empire” or what was left of it by the 1950s was a key organising principle of what we learned. South Africa, Canada, Australia and of course the “home country” itself were all topics that occupied quite a lot of our time – especially drawing the flags! School cadets were still in place in the early 1960s when we were in secondary school. As a young boy I was on Sundays used to listening to the Listeners’ Request Session which had many nostalgic songs from the war, stirring military marches played by brass band and not the reedy military outfits and, on Sunday evening there was a “Diggers Request Session” that was weekly listening. This was wall-to-wall songs from the war period. And so it went on. Shining through all this rather solemn stuff was our young Queen who we lined up on streets to see, were taken by bus from school to join all the other school children in Hamilton at some park to have her drive up and down the ranks waving demurely while we did what we were supposed to do. In fact he’s much the same. I couldn’t vouch for the authenticity of this but how on earth do I know it? So here we are 60 years later and the world has changed – not quickly and for much longer than we have acknowledged. Peter Ustinov famously tells of going to school for the first time in England – There was a large oleograph on the wall of a classroom of Jesus Christ holding a boy scout by the hand and, with the other available hand, pointing out to the boy scout the extent of the British Empire on the map. Put it down to my foreign background if you will, but I was pretty sceptical from the start. The red on the map of the world had long dwindled and then all but disappeared. But some things didn’t change. John Osborne summed it up well in a scene from Look Back in Anger when Alison Porter’s colonel dad rues the changes to the Empire – “At the time we thought it would go on forever” – to which his daughter replies “You’re hurt because everything’s changed and Jimmy’s hurt because everything’s stayed the same”. This sums up the mood that was to prevail. Unlike Australia, there is very little talk in New Zealand of replacing the monarchy with a republic. That might be because it isn’t an issue or, if it is, we still remain pretty divided on the issue. There are still sections of the New Zealand community who would regard such talk as treachery! Like changing the flag! On the other hand we are a constitutional monarchy. The founding agreement for our country is between tangata whenua and the synecdochial crown, an arrangement that means much more than mere symbolism. I thought that the elevation of the Duke of Edinburgh to the Order of New Zealand was a kindly act towards an old fellow – harmless in its implications and even rather gracious in its thoughtfulness. A bit like giving great grandfather a new set of slippers. The carpers were I think a little ungracious. In a country where there seems little reason to party other than after a test match, the Diamond Jubilee seems a good excuse for a party for the little ones and I hope schools have felt able to. And in amongst it all there could be also a little learning. I am a little surprised at the impact of all that we did in those years about all this stuff and how it has stuck. Then again, arriving in Great Britain for the first time many years later and many years ago, I realised that my education had prepared me to live in England rather than New Zealand! Some things change for the better.